New material for this page will be posted shortly. Specializes in Technical and Rebreather Diving. Which means there is no time limits on your dive. Plan Your Dive, Dive Your Plan. Our fill whips are long enough to reach you’re tanks in place. Once your gear is set up, that’s where it stays. No lugging heavy gear on and off the boat and up the dock for fills. All the dive gas is pre-ordered and will be waiting when you arrive. 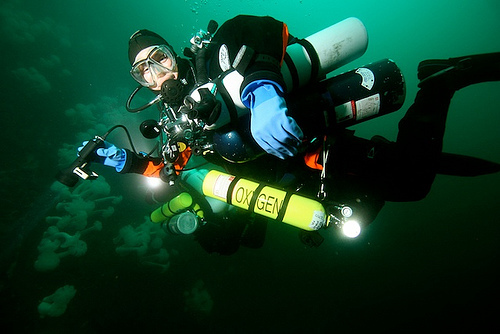 Interested in Technical or Rebreather Diving? We can arrange just about any course offered. Please contact us at adventures@mamro.com for more information.